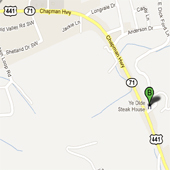 All desserts at Ye Olde Steak House are homemade and most are classic creations. Locals order whole cakes and pies and then carry them home to enjoy. 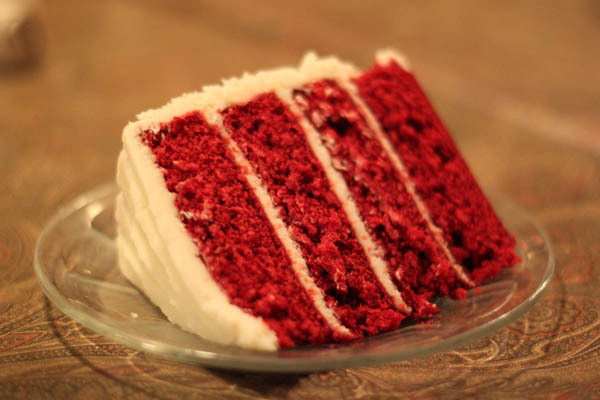 Make room for the chocolate cake with vanilla ice cream, peanut butter pie, or a slice of red velvet cake. Whole cakes and pies may be purchased with a one day notice. Turtle Cake - Cake made with Hershey's syrup served warm with caramel sauce. Chocolate Layer Cake With Chocolate Frosting - Dark, rich Devil's food layers topped with creamy dark chocolate frosting. Hershey Bar Cake - Cake made with real Hershey's Bars and Hershey's syrup. Served warm with ice cream and Hershey's Syrup. Hoosier Pie - Rich pecan pie with chocolate chips and bourbon. German Chocolate Cake - Sweet chocolate layers with coconut percan frosting. Creamy Coconut Cake - One of our favorites. Yellow layers topped with our special frosting. Served warm. Red Velvet Cake - Deep red chocolate layers with cream cheese frosting. Ice Cream Sundae - Olde fashioned toppings on your favorite ice cream. A La Mode - Enjoy a scoop of ice cream with any slice of cake. Deep red chocolate layers with cream cheese frosting. Whole cakes and pies may be purchased with a one day notice.